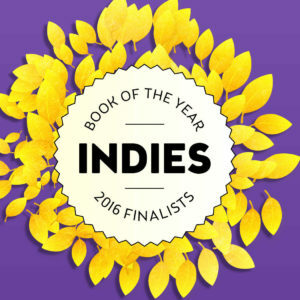 I’ll pretend to being jaded and blasé about surviving the Kirkus gauntlet on some later book. For now, let’s celebrate! And read the review! 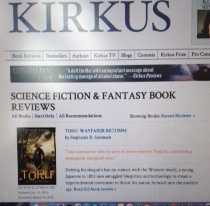 Help a budding author out by sharing the review on Facebook or Twitter from the Kirkus page. Get inspired to buy this mighty work of Fiction & Literature, for thus Kirkus hath classified it. And here I thought it was a steampunk-inflected technofantasy alternate history set in 1850s Japan, a fun genre pot-boiler. “Fiction & Literature” is a much more upscale neighborhood. I’m feeling the urge to brandish longer words and sprinkle more metaphors around already. Kirkus also categorized it in “Science Fiction & Fantasy,” which is very nice, because for today, as the newest review of a recommended Science Fiction & Fantasy book, we rule the page. Gloriously, right up there on top. We took a picture. You can see us. Right there. On top of the list. 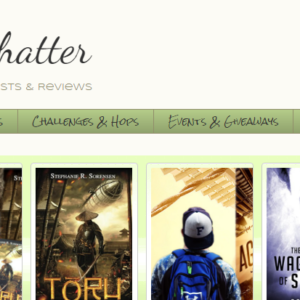 Okay, so it’s not a best-seller list, but it is a list, and we are on top. Of the list. Of recommended Science Fiction & Fantasy books. Tomorrow our review will sink out of sight, buried under new reviews, but savor with us this moment. In its entirety, our first Kirkus review is posted for your reading pleasure below. “Defying his shogun’s ban on contact with the Western world, a young Japanese in 1852 uses smuggled blueprints and technology to create a hyperindustrial movement to thrust the nation forward into the modern age. First-time author Sorensen launches her Sakura Steam series with a well-told what-if story that brings a steampunk aesthetic to real-life 1800s Japan. 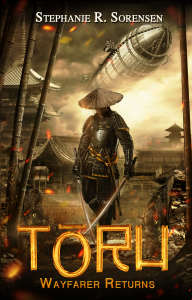 Tōru Himasaki, illegitimate son of a noble lord, arrives on the shores of southeastern Japan in 1852, having completed the first phase of a dangerous mission for which he was raised. Masquerading as a fisherman, Tōru pretended to be lost at sea and allowed himself to be rescued by passing Americans and taken on a grand tour of their country. 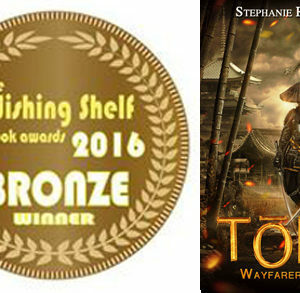 Now, with two years of careful notes, books, factory blueprints, gadgets and intel, Tōru comes home—facing execution as a traitor for violating Japan’s centuries-old policy of sokoku, or isolation, that has time-frozen the island nation into a feudal condition. Fortunately, Tōru manages to convince a few local lords of the desperate need to drive Japan forward into industrialization before the inevitable invasion by America and other foreign imperialists. In just a few seasons, Japanese facsimiles of guns, telegraphs, railways, early computers (Charles Babbage’s “difference engine”), submarines, and airships are under feverish construction—but with as much secrecy as possible due to the iron rule of the myopic, dictatorial Tokugawa Shogun, who may view such progress as a threat to his own power. Sorenson cunningly blends far-out fiction with actual historical personages (many of whom may be unfamiliar to round-eyed barbarian readers) and a Meiji Restoration–era mindset. If there seem to be a few stereotypes reinforced here (math-crazed, sword-swinging Asians, as industrious as ants as they vastly overhaul their whole culture nearly overnight), the urgency and echoes of real-life drama can still resonate. It’s no accident that the author name-checks Hiroshima and Nagasaki as historically vital port cities of old. Young adults as well as older readers can partake of the delicious genre-blending bento.